My Mothers hidden gypsy fortune makes me and my Dad smile. My Dad had trouble marrying my Mum because of gypsy code. Because of that code he couldn’t marry her. Well not for at least a long while. Sometimes my Mum’s strength was in a spotlight. 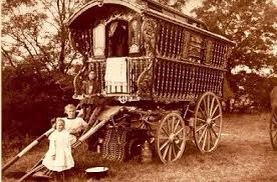 My Dad had the gift of gaining gypsy trust. He wanted to marry my mum, so that was just a must. Getting my mum to talk about the story of then. Well you can ask her again and again and wait until when. Her green eyes listen and tell you a tale of a dozen tiny hidden gypsy stories. And it’s worth a fortune. Me and my Dad look in awe at her green eyes for a while, before we smile.